This is part 2 in a series. Click here to read part 1. Imagine...$10,000 a month in guaranteed grant awards. Sounds good, doesn't it? With Google Ad Grants, your nonprofit is eligible for a $10,000 in-kind credit each month on Google Adwords. Google Adwords can be a great way to drive traffic to your website, but it isn't a Field of Dreams. Just because you get the Google Grant doesn't mean that donors will come. Not right away, anyway. Think about it this way, when someone visits your website for the first time, what do you want them to do? Sure, you want them to give. (And you have a big "Donate Now" button on your home page, don't you? If not, download a "Donate Now" button here.) But that's not the first thing someone is likely to do. So, if they won't "Donate Now," what will they do? Will they sign up for your newsletter? Will they sign a petition? What do you want them to do? Your web pages need a clear call to action. Here's another consideration: when using your Google Ad Grant, the content on your website needs to be relevant to the keywords you bid on originally. What that means is you can't run Google Ads on keywords if you don't have that content on your web pages. Bottom line: Google Ad Grants are easy to get, but harder to manage. Effective use of a Google Ad Grant depends on a successful Adwords campaign, which depends on a robust and relevant website. If you're feeling overwhelmed, know that there are people who can help. Contact me if you'd like a recommendation for someone who can help you create and manage an effective Adwords campaign. I'm always here to help you. UPDATE: At the end of 2017, Google announced significant changes that impact the Google Ad Grant program. 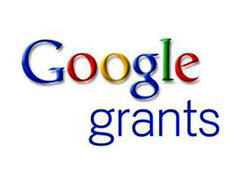 Click here to read about Big Changes for Google's Ad Grants Program in 2018: What This Means for Your Nonprofit. Third Sector Consulting helps nonprofits find more funders and win more grants.